Adobe Premiere allows you to remove the background with an effect called a Garbage Matte. In earlier versions of Premiere such as 6.5 and Pro, your options were a 4-point and 8-point Garbage Matte effect. Premiere CS3 and CS4 offer a 16-point Garbage Matte and much easier tools to create the matte. However, Premiere Pro will accomplish the background removal if you have a little patience. Import your video to be fixed and the background video to the Premiere Project bin. Drag your background picture to Video layer 1 and your video to be fixed to Video layer 2. For this tutorial we are going to put this art sculpture produced by William H. Thielen into the golf course video. Highlight Window on the top toolbar and then Effects. 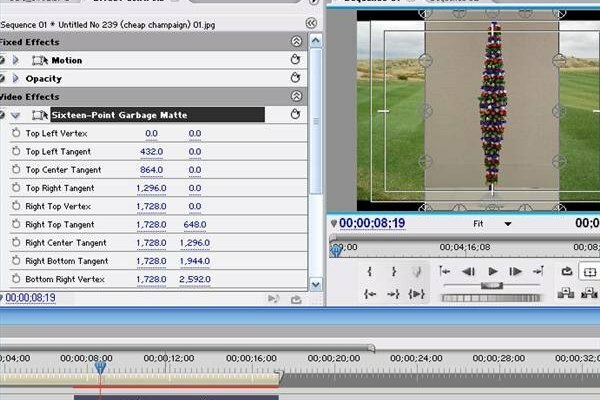 In the Effects bin look for Video Effects, Keying and then chose the 4-, 8- or 16-point Garbage Matte. To work with this effect you must open Effect Controls, again under Window in the top toolbar. 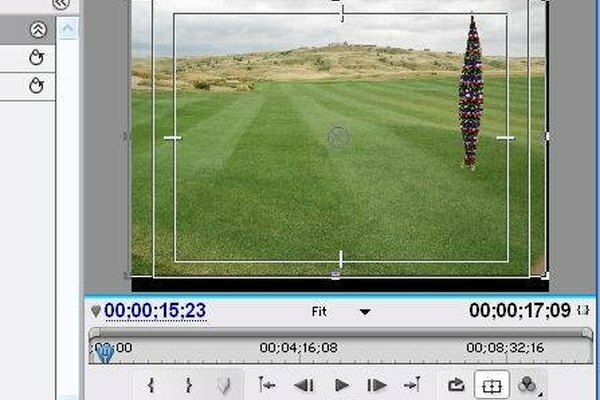 In the Effect Controls bin, click the box to the left of the words 16-Point Garbage Matte and control wheels will appear over your subject video (see picture). Move the Garbage Matte control wheels around the object in the Sequence Monitor. You will begin to see the background appear behind your subject. When you have eliminated all the subject background, you may want to resize the object and place it somewhere else in the picture. Use Motion in the Effect Controls window for Position and Scale. 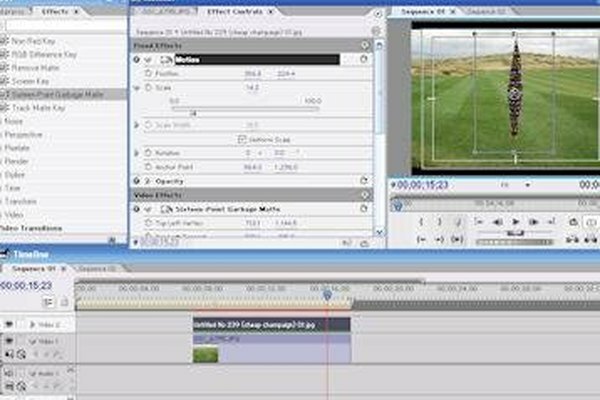 The last step is to render your layer by pressing the space bar, which will give you the best video quality. 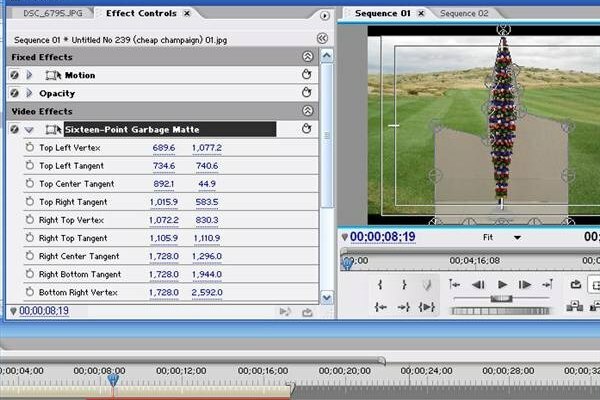 You can add another layer to the timeline and put more sculptures on the golf course using the garbage mattes. If your subject needs more than a 16-point garbage matte, you can use two effects on a single layer. It's also best to pick a subject that doesn't move too much or need too much blending into the background.